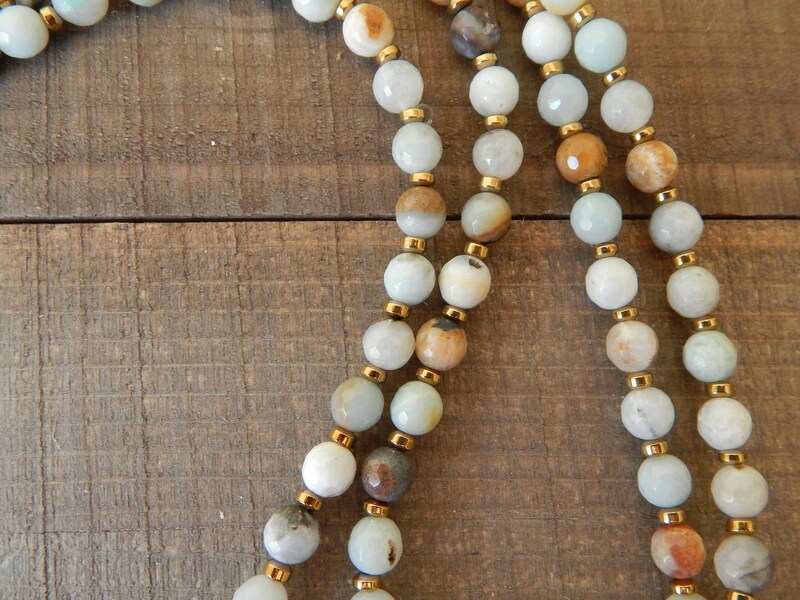 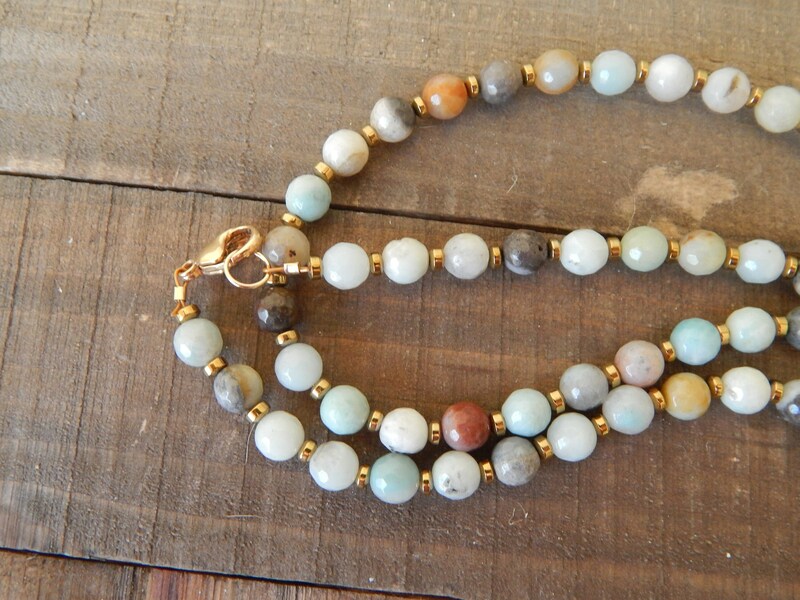 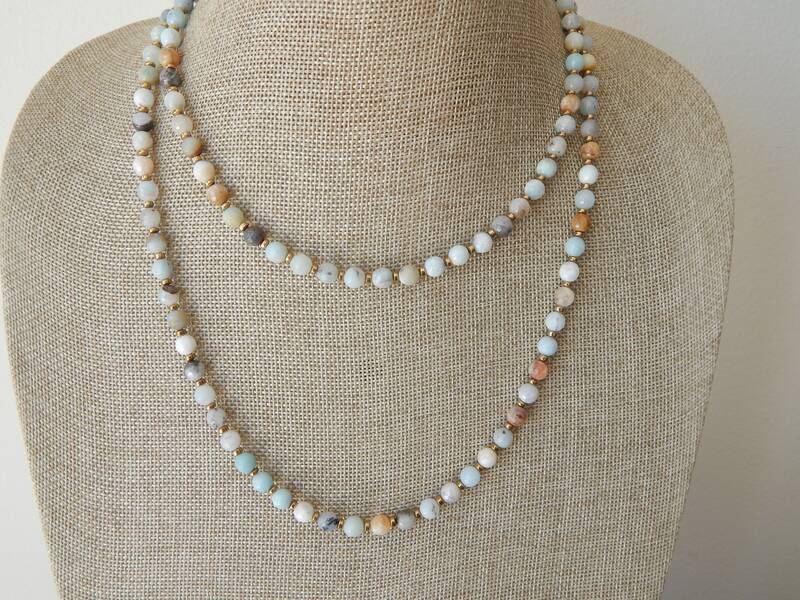 A long layering necklace comprised of faceted amazonite beads and gold hematite beads. 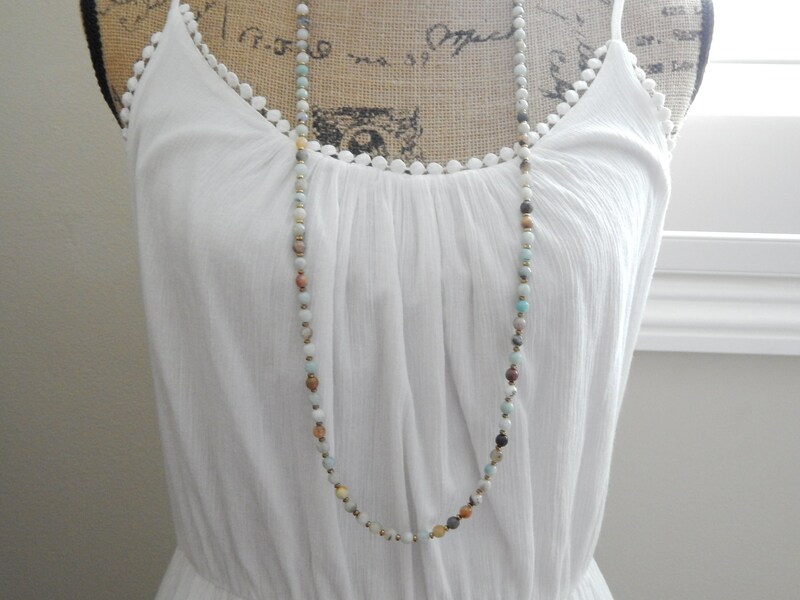 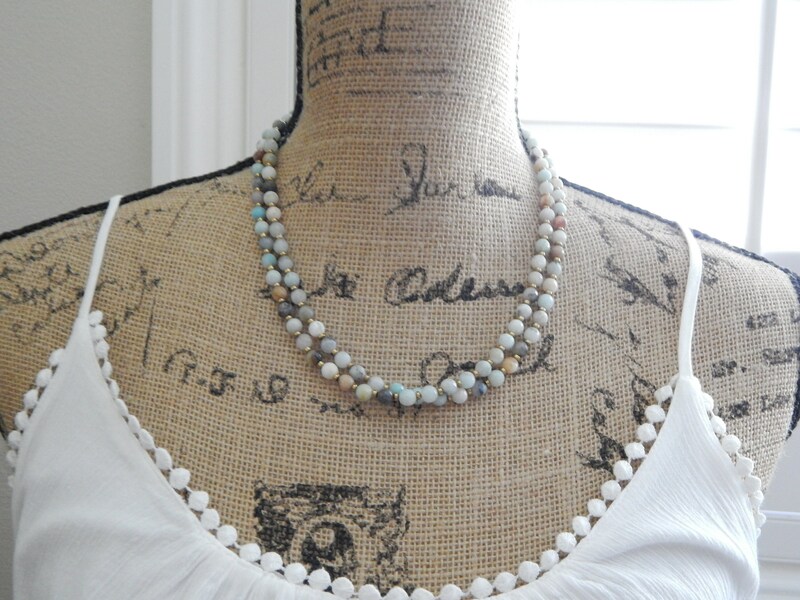 Wear this long and layered with shorter necklaces or just open the clasp and wrap twice around for a layered look. 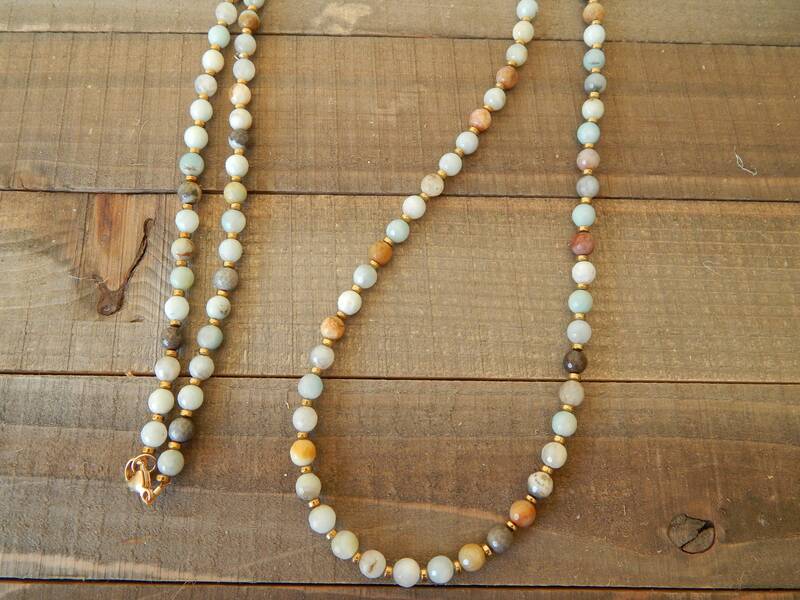 The earth tones will make this easy to pair with others for a boho vibe. 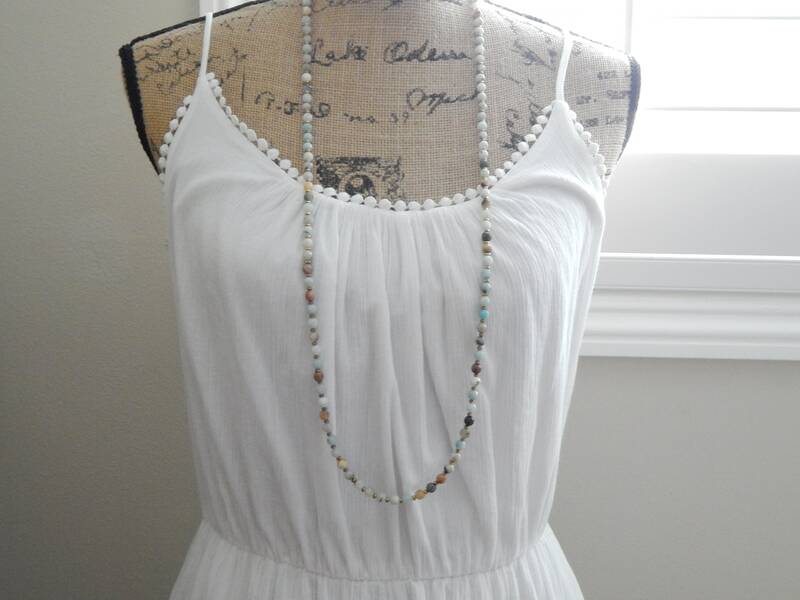 Necklace measures 38 inches long and is finished with a 14kt gold filled lobster clasp. 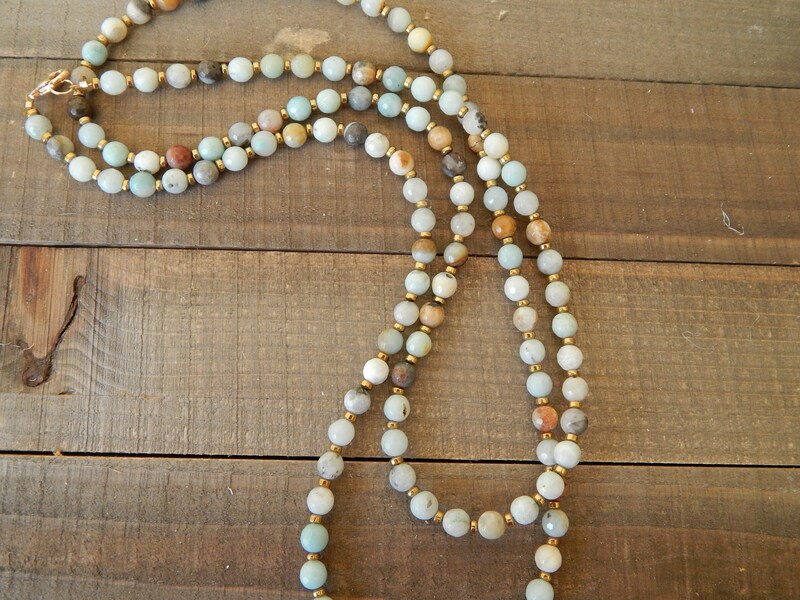 Beads measure 6mm.